We have almost forgotten a very important matter in our lives with regards to the improvement of technology. Before and after sleeping cellular phone or laptop are always the first and the last things we open. From bedroom to school and even in the beach for leisure time our fingers are still busy on what we call the high-tech. Today, connecting people throughout the globe is normal. No one can hide from the information technology. The world is at our finger tips. These are the superpowers of technology, where billions of people are relying on. Nowadays, information technology is known as tool for da’wah (Islamic propagation). The Qur’an Microsoft, Islamic blog and forum, chat etc. are the networking rooms for Islamic discussion. Yes, everything in this world shall be employed for God Alone. Can we relax for a second, take a breath and feel the breeze in our face. Is there any locking? Sometimes da’i (Muslim propagator) is forcing people to accept their mazhab (school of thought) rather than a free-willing invitation to the fold of Islam. Are they intoxicated? Are they drinking too much the honey from the Queen bee of their mazhab? They are alluring us the limited interpretation of Qur’an and Hadith and assuring that their mazhab is the best. They don’t care even they can hurt others. The above mentioned two sources (Qur’an and Hadith) are both guides for our better life in this temporary world and hereafter. 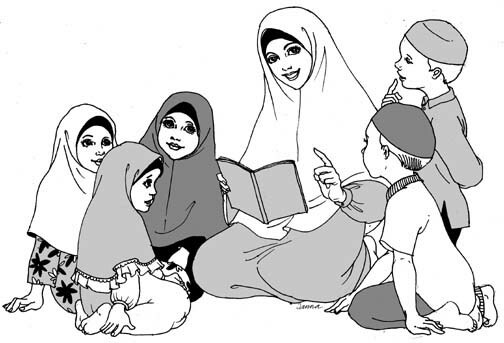 The relationship of Qur’an and Hadith, the traditions (Sunnah) or Hadith of the prophet are based from the Qur’an. In this reason he is known as the walking Qur’an. And his miracle was his akhlaq (good moral) thought in the Qur’an. All of the mazhabs are claiming that they are not going against the main sources. How true is it that all mazhab are following the footstep of the Prophet of Islam (peace) while inviting people to embrace Islam with wisdom (tolerance etc.)? All of the prophets suffered from the mockery and hatred at the hands of the enemy of ‘ila’ (God alone). Different prophets from different walks of life used different tools and strategies to face against polytheist. Alhamdulillah, all of them are survived. So, for the warrior of light (who uphold the truth) the same manner you would face. The best tool that should be used is the perfect manner (akhlaq) of the Prophet Muhammad (saw) and take the suitable lesson and best strategies from the prophets. voice and action. That is why people loved him and embraced Islam without compulsion.